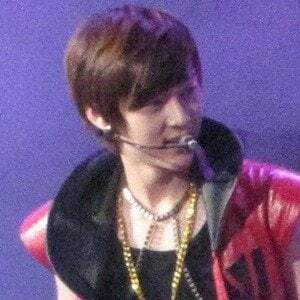 Korean pop singer known for being the lead vocalist of the boy band NU'EST. He finished in the top ten in season two of the series Produce 101 before joining the boy band Wanna One. He's also acted in a variety of TV shows such as Reckless Family. He appeared in music videos for other groups under his label, including Orange Caramel. He also appeared in a commercial for New Balance. He and NU'EST have won a number of awards, including Best EU Performance. He has more than 2.4 million Instagram followers. He grew up in the South Korean port city of Busan. He and Ren have performed together in NU'EST.